Valentine’s Day is two weeks away. But this year I have another idea. Why wait until Valentine’s Day to tell someone, “I love you!” when you can say it every day this month? It doesn’t have to be big, time-consuming, or expensive to tell someone you love them. In fact, it’s the little gestures that can mean so much more. There are so many ways to say I love you. You also don’t have to have a romantic partner to say “I love you” to every day. You could say this to your child, to a good friend, or to another family member. 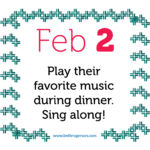 A sneak preview of the 28 Ways to Say I Love You Calendar. The themes of peace, love, and kindness have been on my mind since the New Year. We need more love and more kindness. Can we get there? 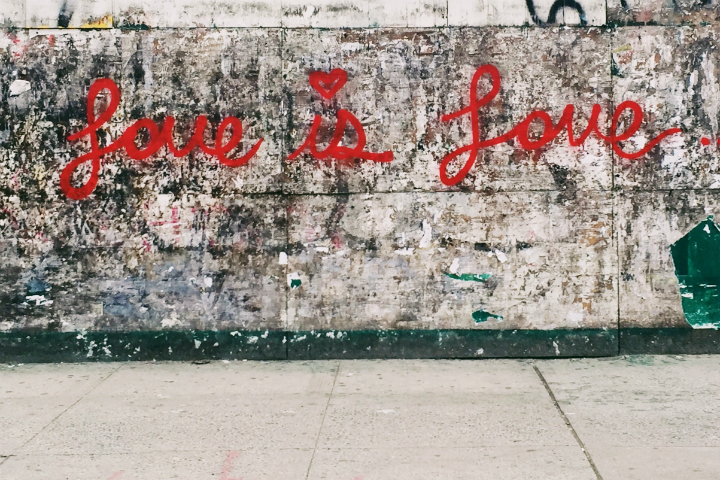 The answer is yes, because love is like a boomerang. When you send love out into the world, it comes back to you. 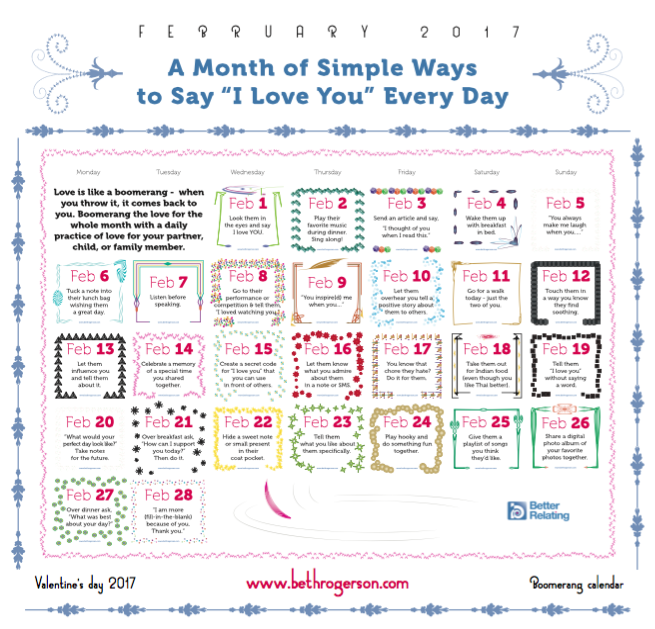 I created this free “28 Ways to Say I Love You” calendar for February to inspire you. If you need to rearrange the day’s tasks, go for it! I suggest printing the PDF and putting it somewhere you’ll see it every morning and evening to remind you. Boomerang your love and get more back. Every day you’ll make your partner, child, friend, and/or family member feel good and special, and that will make you feel good and special too. 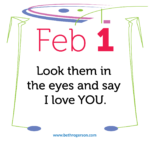 Share the post "FREE DOWNLOAD: 28 Ways to Say “I Love You” This February"